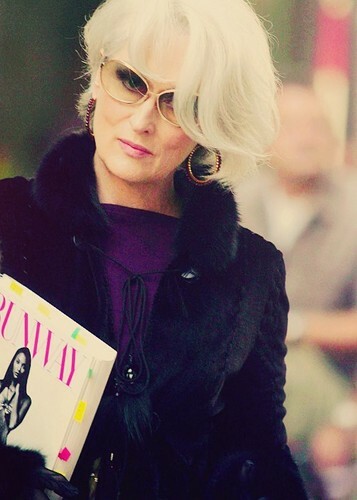 miranda. . Wallpaper and background images in the The Devil Wears Prada club tagged: the devil wears prada prada devil. This The Devil Wears Prada photo might contain धूप का चश्मा, काला चश्मा, रंगों, काले चश्मा, and रंग.